I work on the West Coast, but many of my interactions are with colleagues who are all over the country. Those who work remotely understand that attending meetings over video conferencing is not nearly as productive or fun as actually being there in person. 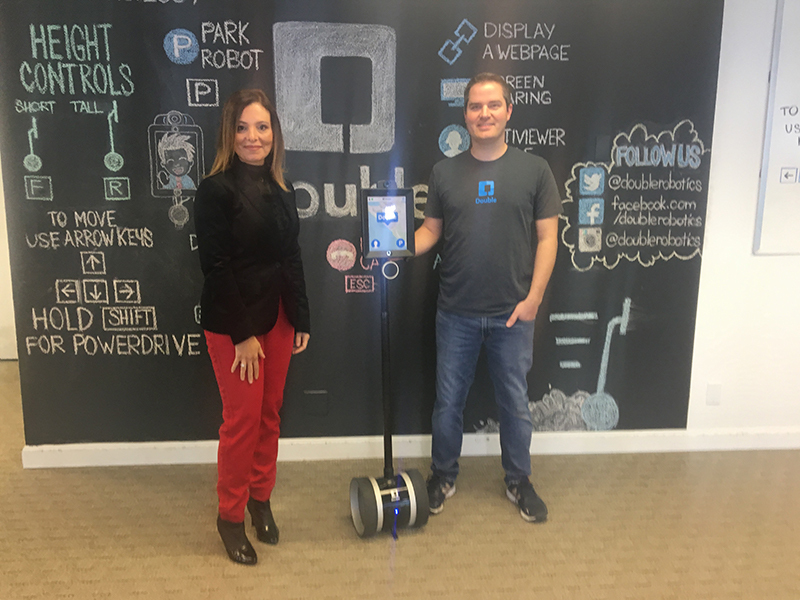 I was very interested in learning more about Telepresence for remote meetings and was excited to visit one of our SOLIDWORKS customers – Double Robotics – and meet one of its founders Mark DeVidts. 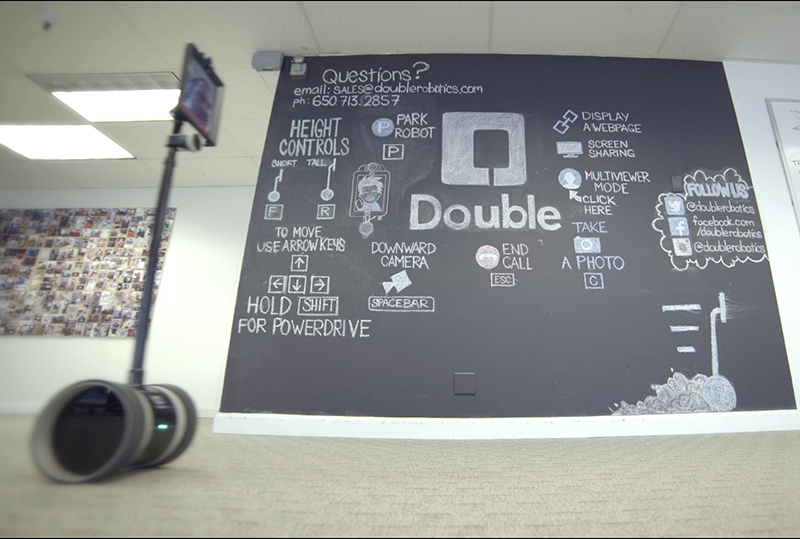 For years, Double Robotics has been designing cutting-edge Telepresence products. However, its system-level design requirements were beyond what our mechanical CAD systems could do. Today, that fact is no longer true. Tech companies constantly face and have to overcome numerous design obstacles. A critical one is the separation between the electronics and mechanical teams, which is a very a common challenge. Most product design workflows segment electronics and mechanical design software into separate silos making ECAD-MCAD collaboration challenging. Double Robotics was able to overcome this challenge. With the implementation of SOLIDWORKS PCB the company now has a seamless, intelligent collaborative environment that eliminates the separation of electronics and mechanical teams and significantly improves its ECAD-MCAD workflow. Mechanical designers are able to communicate design intent and critical design changes to the electronics teams while staying synchronized at all times throughout the design process. Adopting the SOLIDWORKS ecosystem for both electronics and mechanical departments has had a positive impact on its schedule and budget, enabling Double Robotics to stay ahead of the competition and meet its customer’s needs. As I learned from my visit to Double Robotics, the design team focuses on augmenting human abilities beyond the constraints of time and space, and the SOLIDWORKS eco-system is helping them to amplify what they are doing as engineers. Learn more about Double Robotics and how it is using SOLIDWORKS 3D CAD and SOLIDWORKS PCB. Injy Gadalla has over 16 years of both pure technical hardware design, and customer facing, business related responsibilities in many industries. These include the medical industry, consumer electronics, clean technology and semiconductors. She has managed the complete product development lifecycle from concept to manufacturing, for both small fast moving startups and large high profile projects to achieve global commercial launch. Injy is the Technical Manager for North American Technical & Sales support for SOLIDWORKS PCB, PCB Connector, and ECAD-MCAD collaboration technology. She has exposure to cross-functional technical disciplines such as PCB/hybrid design, electrical/hardware engineering, and test fixture design. Injy has over 12 years' experience with Altium Designer.